Everyone Wants To Be A Blacksmith Of His Fate. 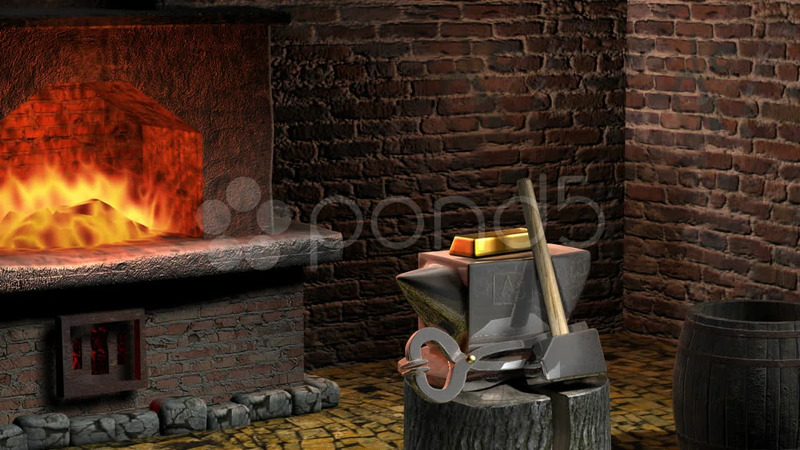 Description: Gold Bar is on the anvil. The anvil is made of silver. Against the backdrop of a forge and fire.